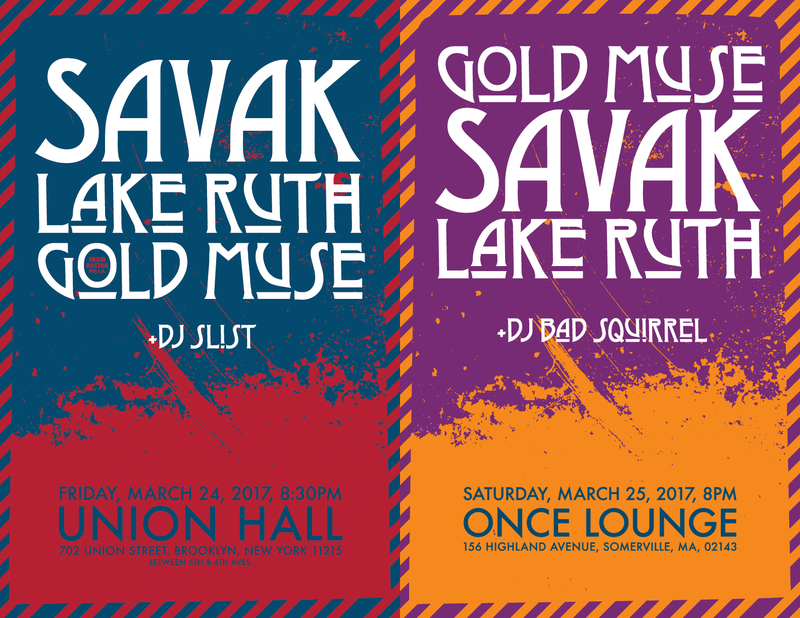 Both shows are with Lake Ruth and Gold Muse. The former shares some members with SAVAK, though ostensibly spearheaded by The New Lines‘ Hewson Chen and The Eighteenth Day Of May‘s Allison Brice, and the latter is a Boston-based groop featuring members of Swirlies, Soccer Mom and Broken River Prophet. Humans making music for humans. So get up offa that computer and shuffle around the old folks home with us. Hey, if’n ya haven’t heard … our very own “Jimmy” James “Clams” “Thumpa Thumpa da Bass” Canty is hard at work, relearning songs he played in The Make-Up, as they’re doing a bunch of shows later this year. Look out for that wonderment coming to a festival near the outskirts of your town. They will make you dance and cry, which is a heckuva combo. Last and, okay, maybe least … Sohrab (that’s me) is playing in a Replacements tribute thing at HiFi in Manhattan on Thursday, March 30. The band includes fellas from Radio 4 and Garden Variety and the guest singers have names that rhyme with Will Sheff, Eric Davidson, Mikey Post, and Marcellus Hall. Or so says the Internet. Should be fun and it can’t possibly be worse than at least 1/3 of real shows by The Replacements, right?